By government decree, Haruo Uchiyama, is Japan's first master wild bird carver. His carvings are used by museums and conservation groups as well as by sportsmen and by the blind to learn the sources of various bird songs. 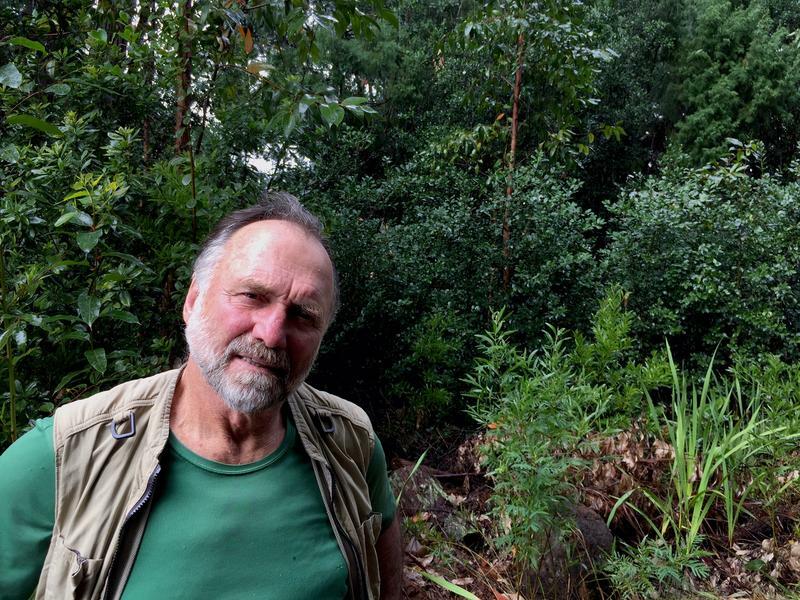 He recently spent two weeks at the Bishop Museum researching Hawai'i's native honey creepers in the hopes of carving nesting pairs of them all for future generations to enjoy. According to the World Wildlife Fund, more than 90% of the plants and animals inhabiting Hawaii are native to this place, and a greater variety of fish exist in Hawaiian waters than anywhere else. Protecting these plants and creatures can seem overwhelming, but individuals do find ways to make a difference. HPR’s Noe Tanigawa reports on one such case. Haruo Uchiyama says he was weak as a child, and didn’t go to elementary school much. “I was told I would probably live until middle school.” For long periods of his early life, Uchiyama says he simply lay in bed, no television. As it happened, Uchiyama grew stronger in fifth grade and rejoined his classmates, but he found they were living in different worlds. Haruo Uchiyama's bird carvings first attracted the interest of bird fanciers, then museums in Japan. 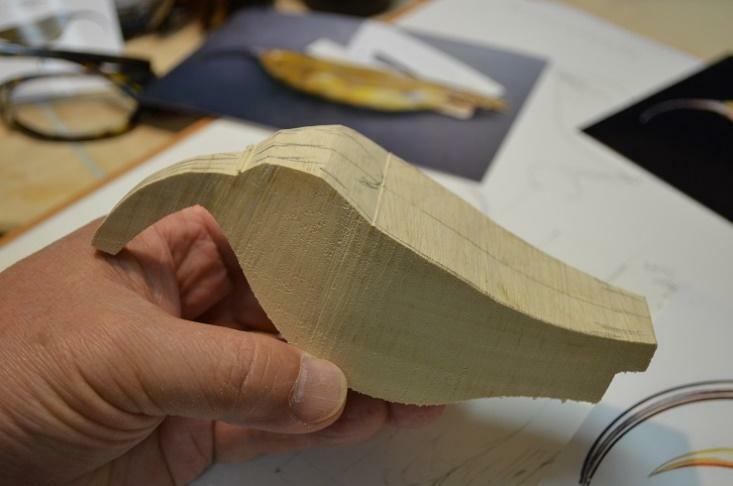 Over the years, he noticed bird carvings being used as decoys in the US and began carving for the US market. He also developed "touch carving", or carvings he makes to show the structure of birds to blind people. For generations, Uchiyama’s family had specialized in wood inlay, which sometimes depicts bird designs. 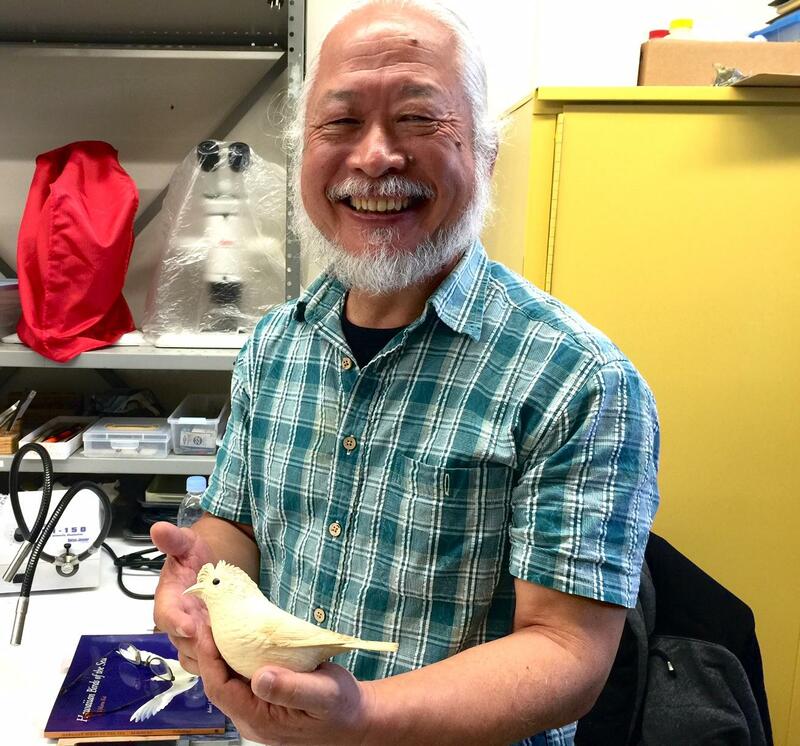 Uchiyama began to concentrate on birds, and he was given a desk at the Yamashina Institute for Ornithology to carve and study. Bird carving is a recognized art form in the US, where the first crude birds were decoys, thrown together on a hunt. American carving societies exist, but few examples approach Uchiyama’s level of artistry. After thirty five years, Haruo Uchiyama is now recognized as the country’s first wild bird carver by the Japanese government. He works primarily for museums and zoos around the world. What amazed Uchiyama about Hawai‘i on his first visit here, was that so many of our honey creepers are going extinct. Molly Hagemann is the Vertebrate Zoology Collections manager for the Bishop Museum, which has the world’s largest collection of Hawaiian birds. Are these very lifelike to you? Uchiyama’s birds do not look like specimens. 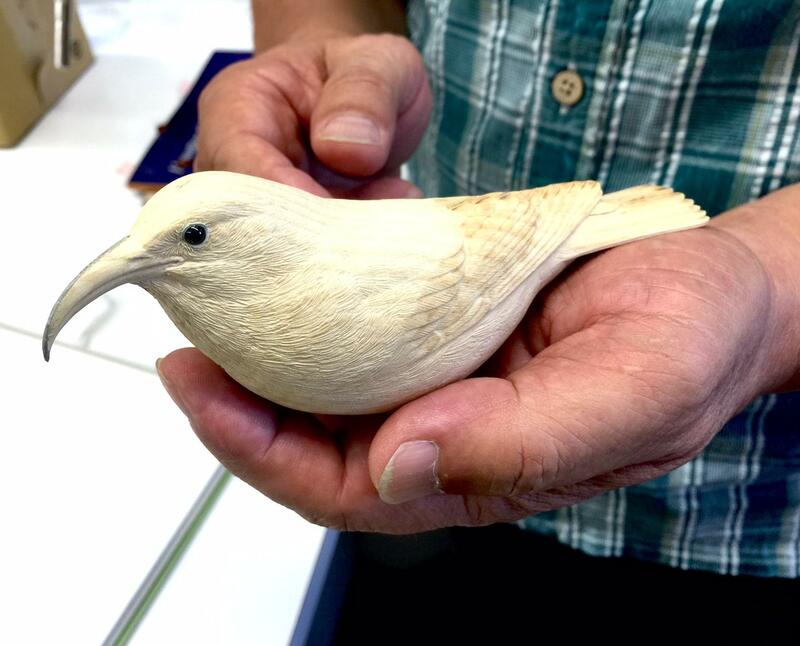 Uchiyama's bird carvings start as a cedar block. 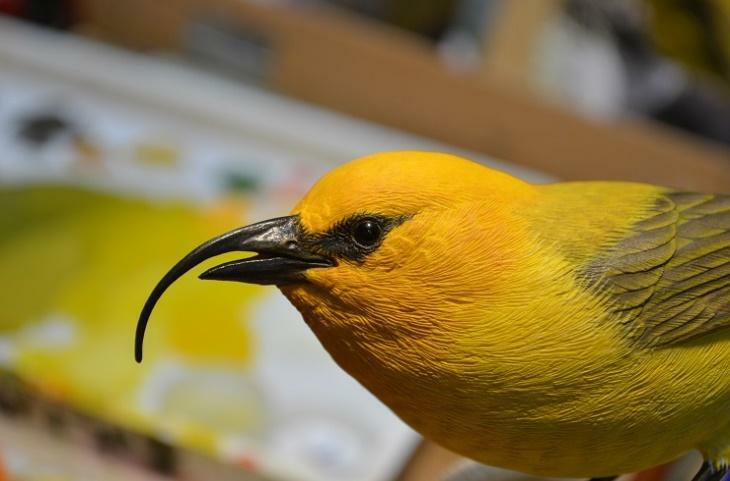 There used to be over 50 honey creepers in Hawai‘i, but there are only about 23 of them left. Haruo Uchiyama plans to carve them all, male and female. For donations to continue Mr. Uchiyama’s project, please visit https://secure3.4agoodcause.com/bishop-museum/gift.aspx?id=1. When using this donation page, please designate the gift recipient as “Vertebrate Zoology Collection”. Mahalo to Peter Tanaka, Bishop Museum volunteer, who kindly provided translation services. 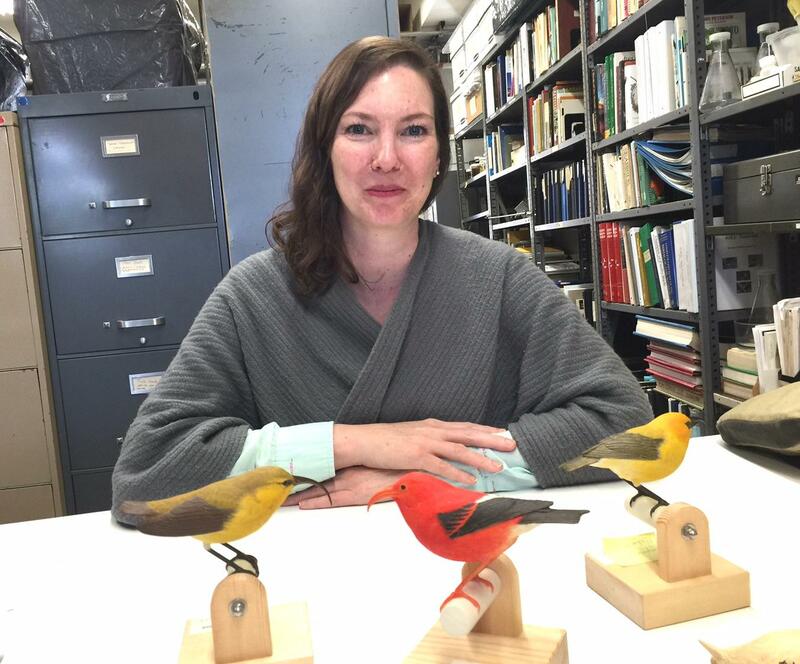 Molly Hagemann, Vertebrate Zoology Collections Manager for the Bishop Museum, was thrilled when Haruo Uchiyama gifted these four birds to the Museum. The actual specimens are rarely shown due to conservation issues. Hagemann sees these carvings as a crucial way to develop connections with creatures who will certainly expire without our care. A national environmental group is worried that bright lights at a Kaua‘i military base are harming the island’s native seabirds. The Center for Biological Diversity is seeking legal action after more than 120 endangered shearwaters and petrels were harmed or killed by artificial light at Kōke‘e Air Force Base over a two-week period last year. 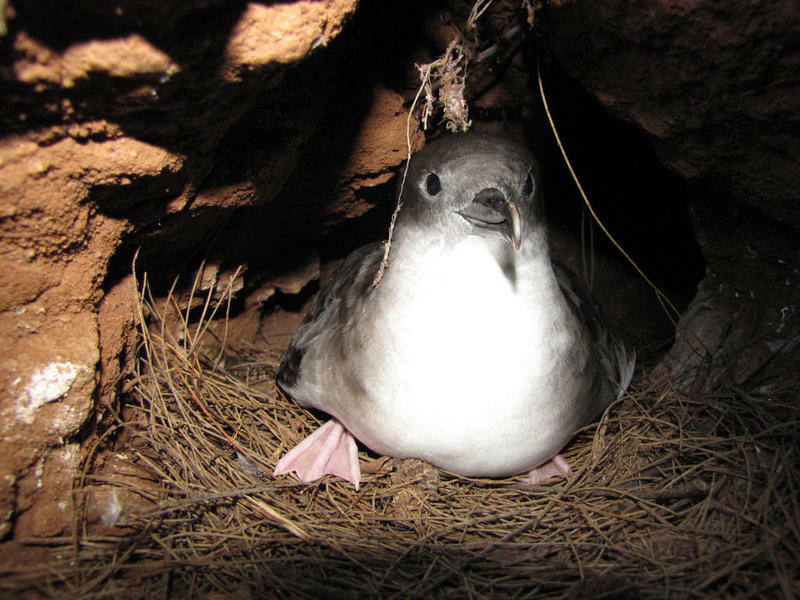 The Newell’s shearwater spends most of the day burrowed in the mountains of Kaua‘i. It’s not until the sun goes down that the endangered seabirds take flight. Shrouded in darkness, it’s hard to see them. But you can definitely hear them. 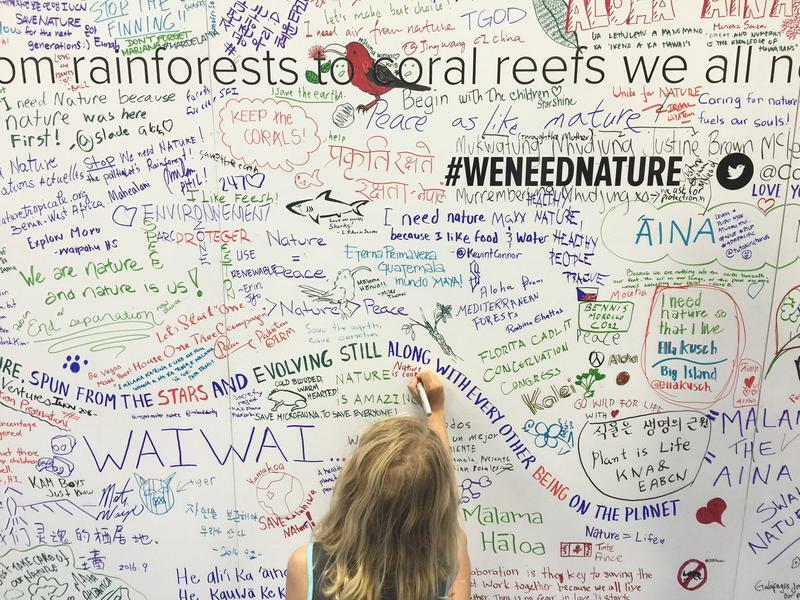 President Obama is coming to the world conservation congress in Honolulu to herald the creation of the world's largest ecologically protected area, Papahanaumokuakea. The northwestern sweep of Hawai’i’s archipelago is a treasure for biologists, marine scientists, archaeologists, cultural practitioners, naval historians, and others. 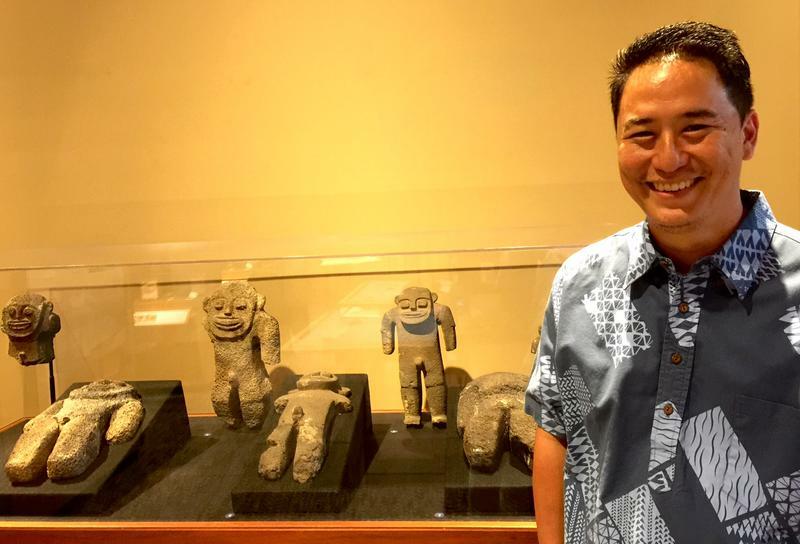 HPR’s Noe Tanigawa reports mysterious stone figures are among the items featured in a new exhibit at the Bishop Museum.